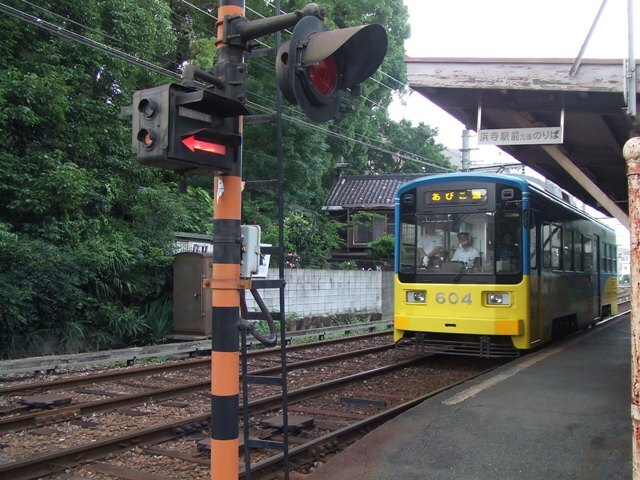 There is Tenjin no Mori Station on Hankai Line. 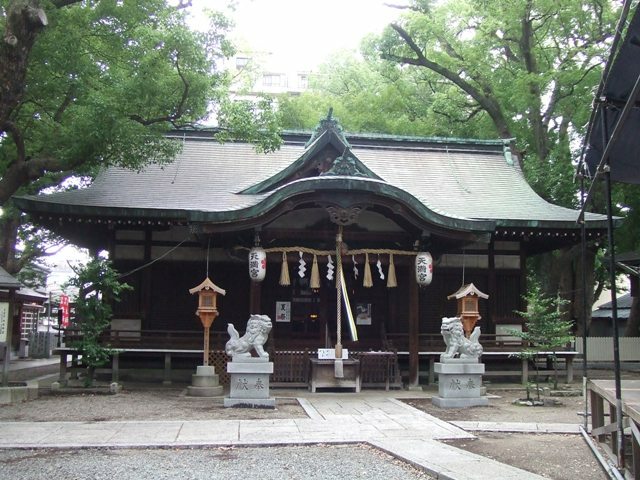 Tenjin is another name of Temmangu Shrine. Mori means forest in Japanese. 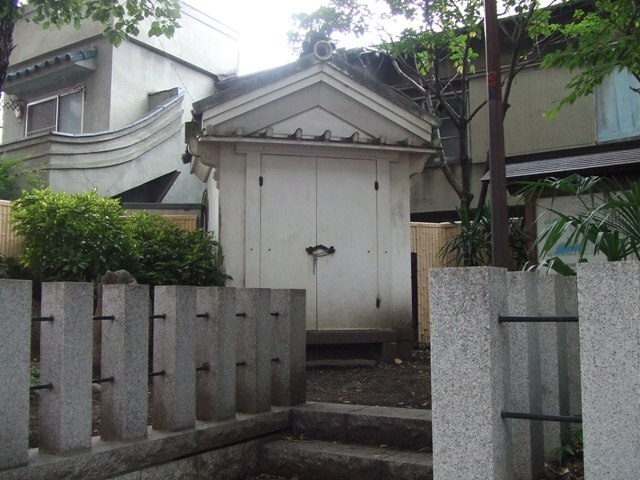 Beside Tenjin no Mori Station, there is Tenjin no Mori Temmangu Shrine. 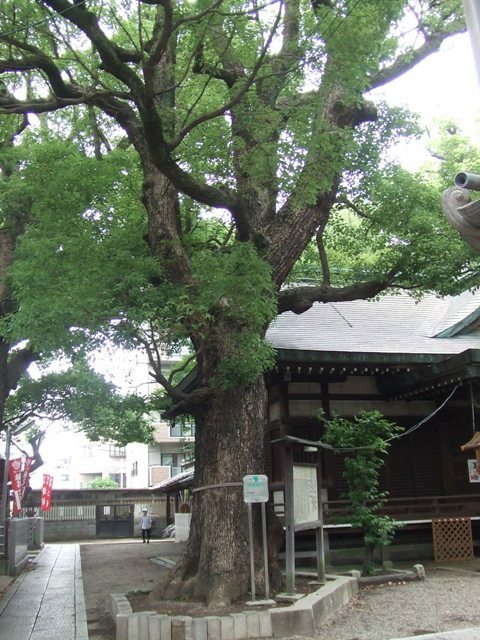 Sugawara Michizane is enshrined in every Temmangu Shrine in Japan. 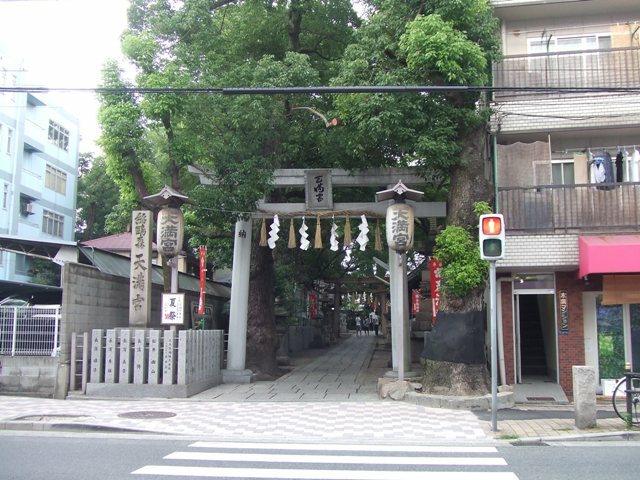 Sugawara Michizane (845~903) was executed. After the execution, it was said that there had been misfortunes and curses so many times. 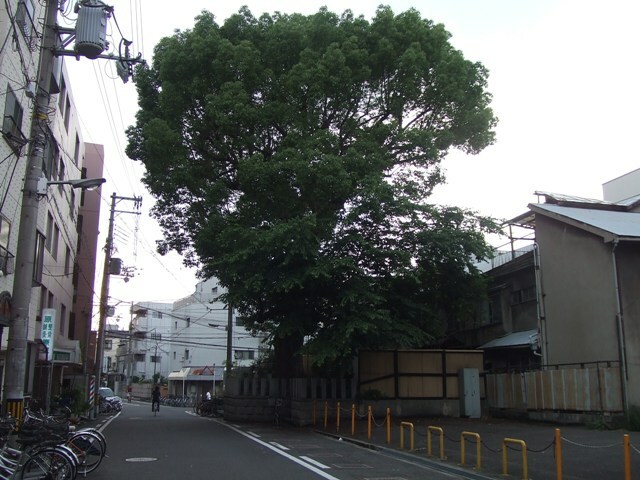 The government at that time considered it was because Michizane’s curse. To calm down his angry spirit, Temmangu was founded. 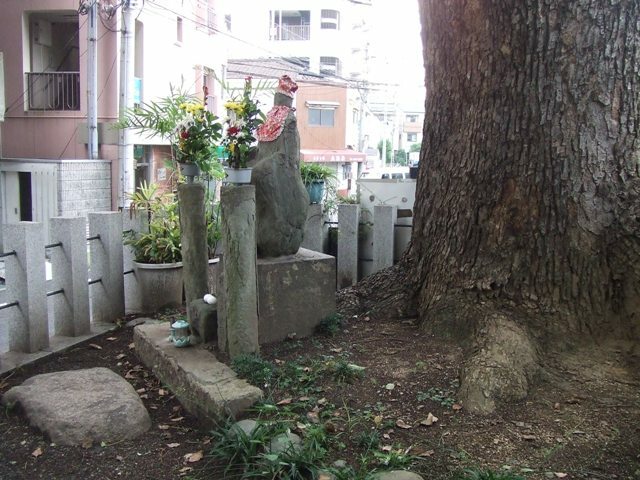 Because Michizane was an extremely intelligent person, people worship Michizane as a deity for intelligence. Many people who wish to pass the exams often go to a Temmangu of their preference. Another name of Tenjin no Mori is Jouou no Mori. 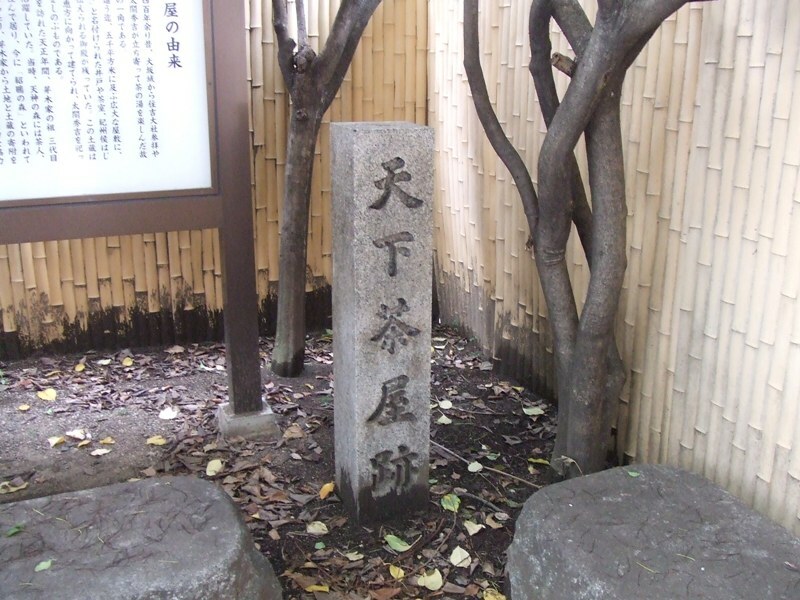 Takeno Jouou (1502 ~ 1555) was famous Sen no Rikyu’s (1522~1591) teacher of tea ceremony. There used to be more trees and a forest in this area. Jouou lived around here after he retired. 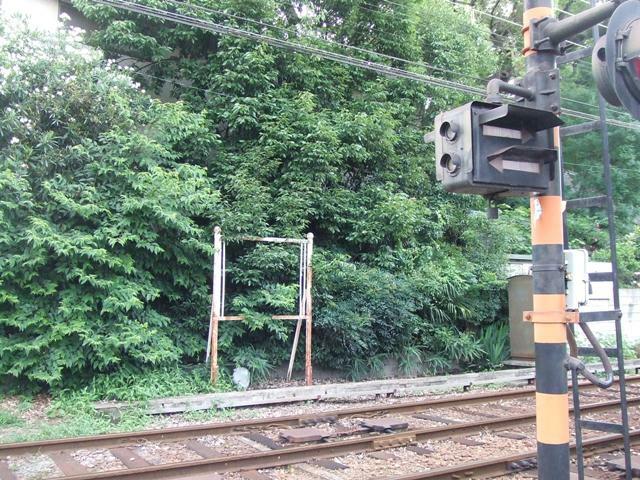 That’s why this area is also called Jouou no Mori, which means Jouou’s forest. The date of Summer Festival of Tenjin no Mori Temmangu is the same as Tenjin Matsuri, one of the three biggest summer festivals in Osaka because of the same diety's festival. 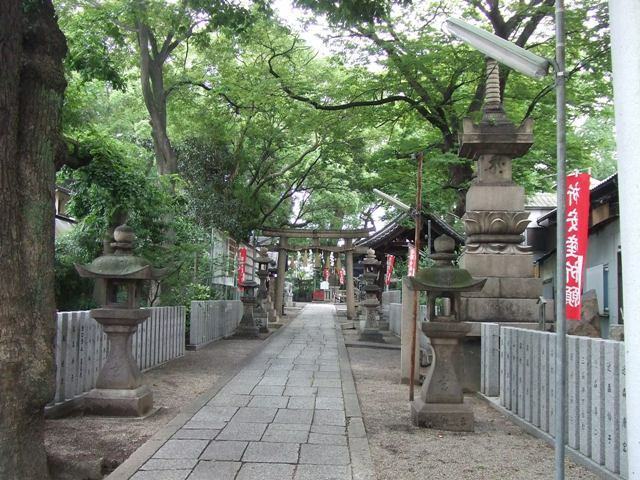 Tenjin Festival is held on July 24 and 25. 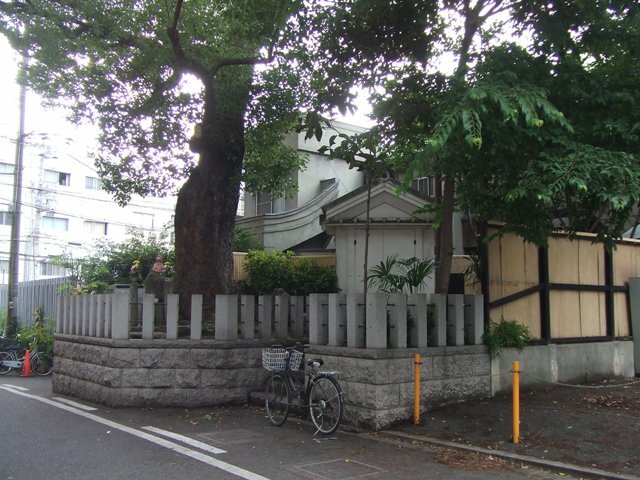 There used to be a big house, a tea room, nice Japanese garden, a pond called “Tengachaya” until the day of the attack for genocide during the World War II. Now, only a part is remained. Tenga is euphonized “Tenka”, and Tenka means the world under the heaven, and was probably named after Toyotomi Hideyoshi who conquered all over Japan. 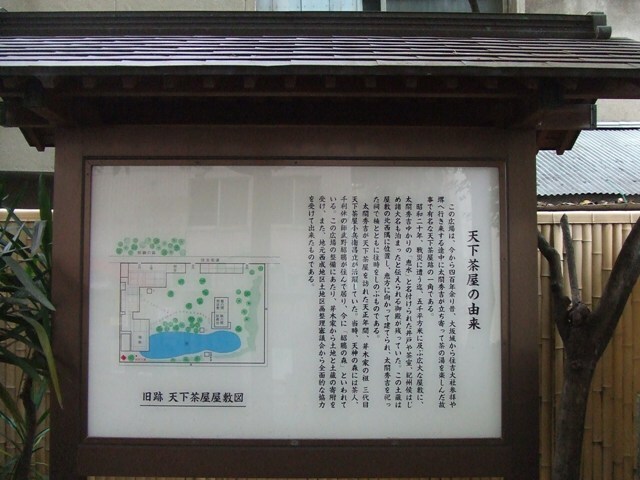 “Chaya” means tea room. 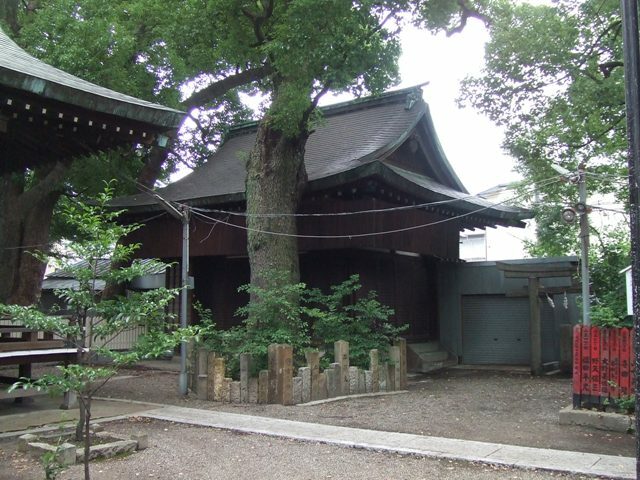 Toyotomi Hideyoshi (1536 ~1598) used to stop by here at Tengachaya and do tea ceremony. Warriors enjoyed tea ceremony during Hideyoshi’s era. 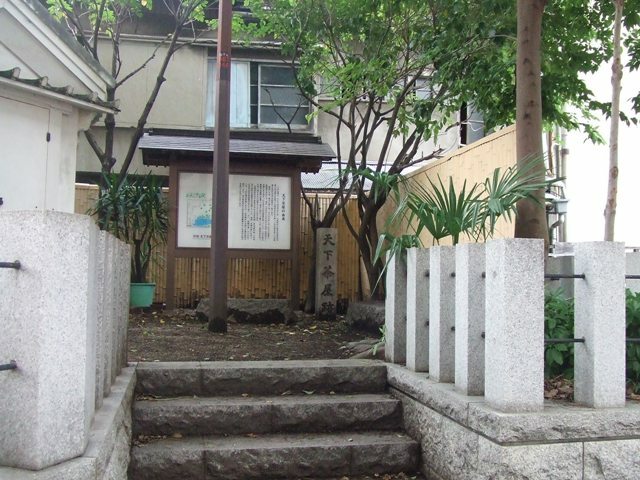 3~4 minute walk from Tenjin no Mori Station of Hankai Line.